View More In Plate Guards. (SEE AVAILABILITY ABOVE FOR ESTIMATED DELIVERY) - Plastic Food Guard. 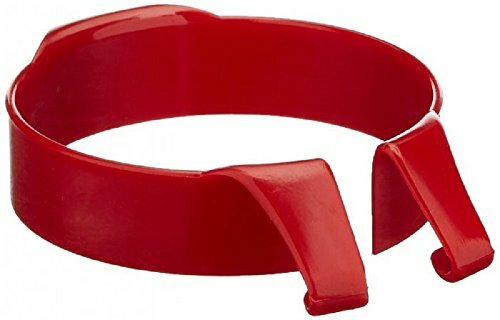 Color: Red - Plastic Food Guard. - Molded 1" high guard clips onto plates 9½"""10" in diameter. Hook portion is molded right into the unit with no seams or joints. Smooth plastic is dishwasher safe to 125°F. Lightweight & easy to use. Latex free. - Rolyan products are internationally licensed & manufactured for home & clinical use. Most of their products offer a lifetime warranty.